Check out this neat and amazing recipe for some absolutely delicious Copycat IHOP Pumpkin Pancakes! With the fall season coming around, and pumpkins become more in season, IHOP will soon be releasing their Pumpkin Pancakes! So why not make some of your own? 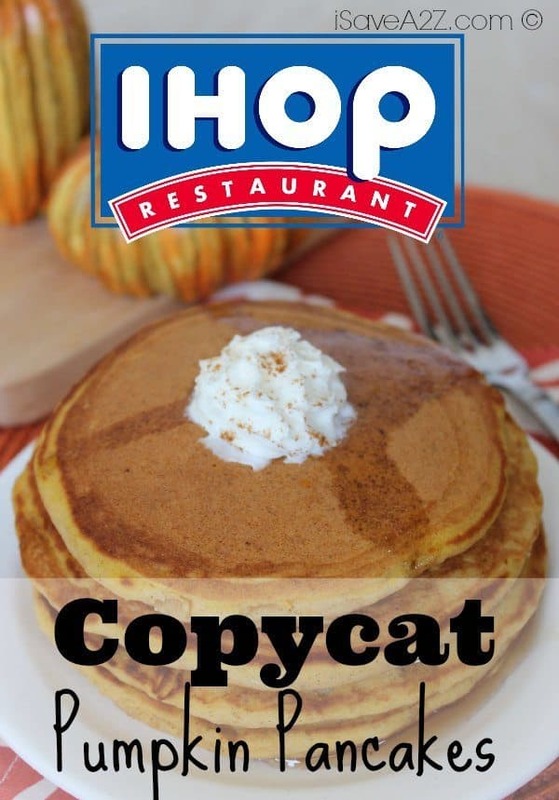 The recipe below will bring you step by step into making your very own Copycat IHOP Pumpkin Pancakes! If you liked this recipe, then be sure to check out some of our other pumpkin favorites! Like our Copycat Pumpkin Scones, our Nutella Pumpkin Pie, or our Easy Pumpkin Roll Recipe! Get ready for fall with all of these great pumpkin desserts! If these recipes are just the kinds of recipes that you have been looking for, then I have some good news for you! Check out this neat cookbook with even more pumpkin recipes that will sure to widen the variety of pumpkin foods for you and your family this fall! Be it for Thanksgiving, Halloween, or any other special occasion, you can’t go wrong when you choose any of these great pumpkin recipes! If you love pumpkin, you should also check out our Homemade Pumpkin Pie Recipe! It’s totally worth trying and it is super easy as well! Get your fall holidays in gear with the right pumpkin recipe! Stir in eggs, buttermilk, butter, and pumpkin. Preheat griddle or skillet over medium heat. Put 1/4 cup of batter on skillet until it stops bubbling and edges begin to harden. Flip, and cook other side about same amount of time. By Megan on October 30, 2016 Breakfast, Desserts, Pumpkin Recipes, Recipes.